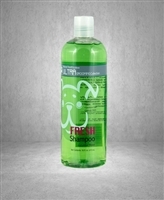 The Cucumber Melon fragrance will ensure a long lasting fresh clean coat. The Sweet Ginger Tea fragrance will ensure a long lasting fresh clean coat. The sweet pea fragrance will ensure a long lasting fresh clean coat.